Light blue-green linear leaves with a touch of rose in sun. 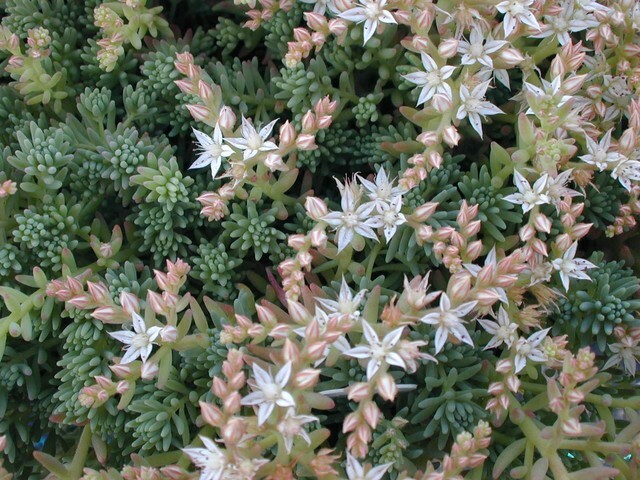 Resembles a larger leaved Sedum hispanicum but has much larger flower clusters of numerous white flowers. Low spreading plant. From Turkey and the Middle East.